Kennedy Space Center is the home of NASA. They created the Apollo program (not the programing kind, sadly), the Mecury program, the Gemini program, the space shuttle program (only place on Earth to develop the space shuttle), and the Skylab program. The Mercury program was NASA's first attempet at manned space travel. It was then NASA's heat shield was created, as well as launch sysmtems that proved vital for further expeditions. There were ten Gemini missions in all. Each Gemini capsule could hold two people, while the Mercury capsule only held one. Gemini helped NASA discover important techniques for the Apollo program to be successful. The Apollo program was by far the most successful one of NASA's programs so far. The first few Apollo missions didn't shoot for the moon, but the crew of Apollo 11 were the first people to walk on the moon. Apollo 12, 14, 15, 16, and 17 were also successful. The infamous Apollo 13 was probably the best known for the movie "Apollo 13". While Apollo 13 didn't make it to the moon, it was a challange to get back. The Apollo program was the most famous program so far. NASA developed 5 Space Shuttles. Sad fact: Challanger exploded. Here are some lists about them. The Dragon Spacecraft is a cargo vehicle. It will take cargo to the International space station (and possibly the moon too). It is made by a space company called SpaceX, who developed landing rockets. The Voyager spacecraft has many sophistacated instruments on board for deep space exploration, including a bunch of solar panels. There are two Voyagers, Voyager 1 and Voyager 2. 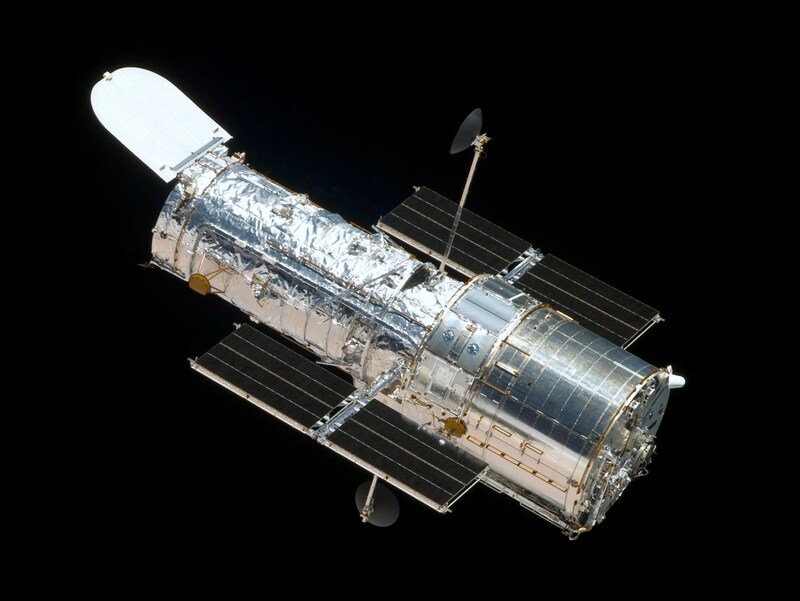 The Hubble Space Telescope takes pictures of stars, nebulas, planets, and galaxys. Even though USSR launched some of the first mars missons, the more noticeable missions were NASA's Mars rovers: Spirit, Opportunity, and Curiosity. 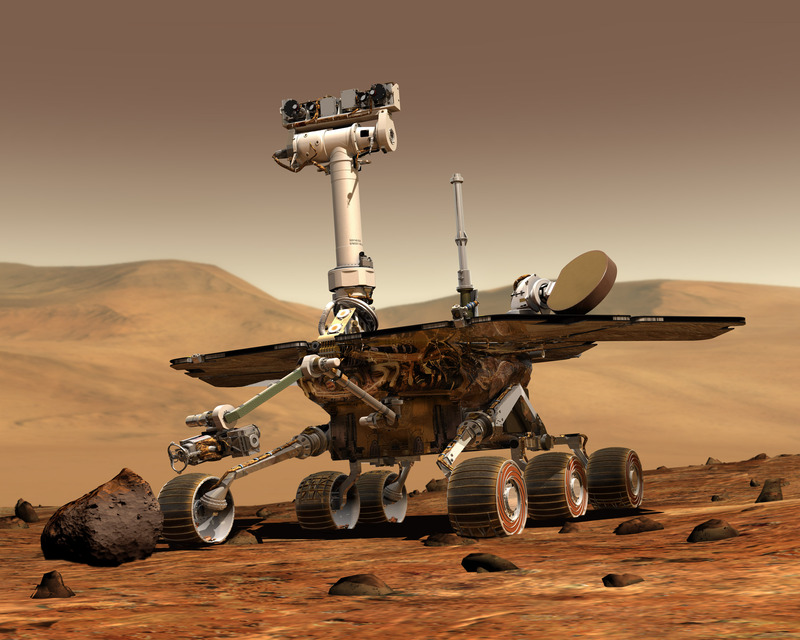 Spirit was the first of NASA's Mars rovers. Spirit conducted many scientific experiments. Oppurtunity took many scientific experiments and rock samples. At one point Oppurtunity got stuck in a sand dune. Oppurtunity is still on Mars right now. For energy it uses solar recharged batterys. Curiosity has been on Mars for five years. It has many cameras and the average six rover wheels. One of it's mains objectives was to study chemicals on Mars. It is NASA's latest rover. Orion is a well designed space travel vechicle designed for going to Mars and deep space exploration. It is being made by a partnering company called Boeing. Boeing is an airplane company. Orion will ride the NASA SLS rocket.